for all the Birthday greetings. Adrian you are the best! 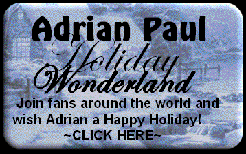 at Adrian's official web site www.adrianpaul.net for the latest updates. days of festivities with friends and loved ones. "Nine Miles Down" to watch the video. AA Pic Pages. Click HERE! Check out the new-ish pic of Adrian on the set of "Nine Miles Down"
Budino has his own Dogster page, too cute! his new film "Nine MilesDown" and more! You can read it HERE! event to date! More info HERE!! and Adrian speaks about filming "EYEBORGS"
Project was a great success ! light a candle for Adrian's Birthday. that's just what is happening! it to the big screen and revitalize the "Highlander" mystique. Adrian has been busy behind the scenes recently too! Narrating voice over for the new "The War of the Worlds." Gracen, Jim Byrnes as well as Adam Baldwin. apartment renovation video is now online and ready to enjoy. Adrian's Birthday is May 29th!!! 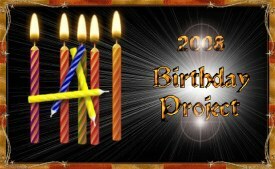 Help us Celebrate and light a candle! you can show Adrian where you are in the world and light up a candle for PEACE. Click Here for more info and to begin. enjoy some screencaps I've done of all the episodes. STARLOG Issue #365, May 2008 is now on the newstands. Featuring a four (4) page spread on Adrian. 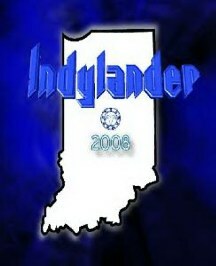 "Forever Highlander" is a great article and well worth the money. Lots of pics and a great read. (your donations.. hint, hint) are going. are just coming in. Be sure and check them out! Thanks to the Hunlander group..and Vikka for sharing this awesome video! televison show in Hungary. Adrian and Alexandra are renovating their apartment. A few more online interviews with Adrian about the release of "Highlander: The Source"
are showing up. Some are quite eyeopeners! 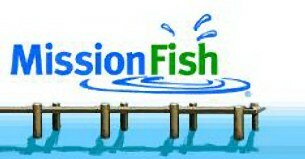 helping to Protect, Educate, Aid, Children Everywhere!! Enter to win a weekend getaway in the Highlander Official 2008 Getaway Giveaway!! and dine with Producer Peter S. Davis. 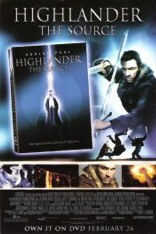 of "Highlander:The Source" on DVD which was released on February 26th. department on February 7th. Thank you ALL for your sponsoship and generous help!! this time, we raised almost $400 for PEACE! Thank you to all who bid and supported us. back often, we have more items to tempt you soon!! killer bent on revenge. As the tagline reads...."5 college kids..one ghostly killer...you do the math." You can pre-order now at Amazon or other online book vendors. be announced at a gala celebration held at the Millennium Biltmore Hotel. expensive or too far away. Not anymore! events between July and December 2008.
more. 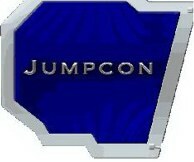 find all the dates at ADRIANPAUL.NET and more Con info at JUMPCON. All the info you need is HERE! Issue # 10 of SciFi Now has a two page interview with Adrian Paul. <<<Click here to go download the interview! participated in making our vision come true. everything that rhymed. It took me a moment sometimes to think about which character was which project. 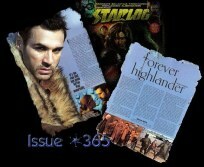 to Bill Panzer, a sneak-peak at the HIGHLANDER video game and more! Check out Highlander: The Source CD, now available on iTunes. Xena: Warrior Princess and Hercules: The Legendary Journeys is a trademark of Universal TV Distribution HoldingsLLC and a copyright of Universal Television Enterprises LLLP.